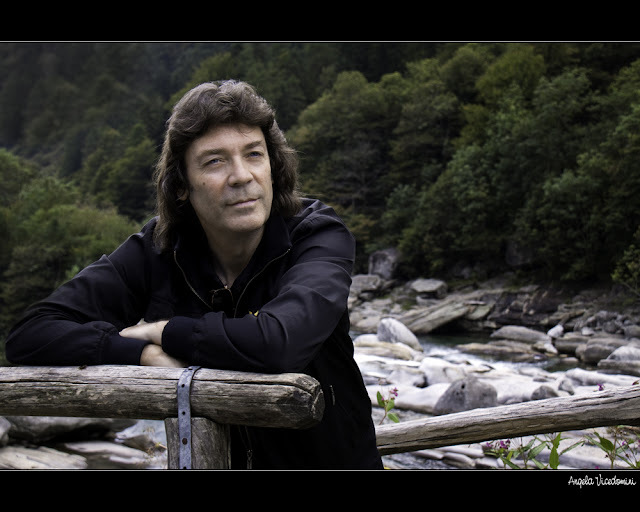 The writer’s chief problem when approaching Steve Hackett is knowing where to start. 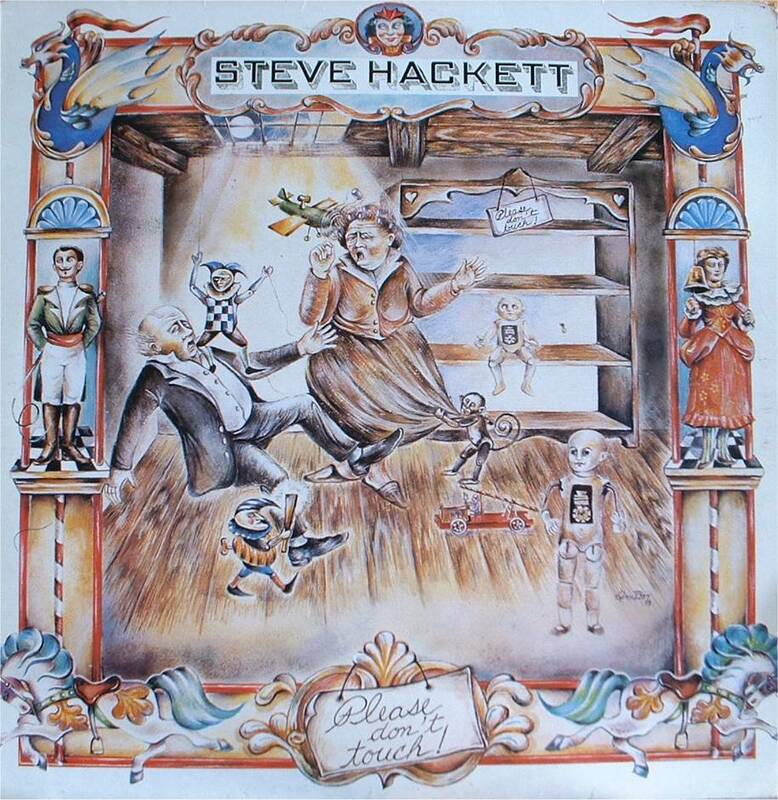 Ten albums and six singles with Genesis, two albums and two singles with GTR, 24 solo studio albums and nine live recordings, his latest studio piece being Beyond the Shrouded Horizon (2011) and you have to think hard or Steve may die before we get to discussing track two of album 19. Not only that, Steve surrounds himself with some of the best musicians in the business, and they really deserve a whole article on their own. (Well, I have done Nick Magnus already and Steve’s brother John has kindly agreed to do another soon, so I sort of have my work cut out). 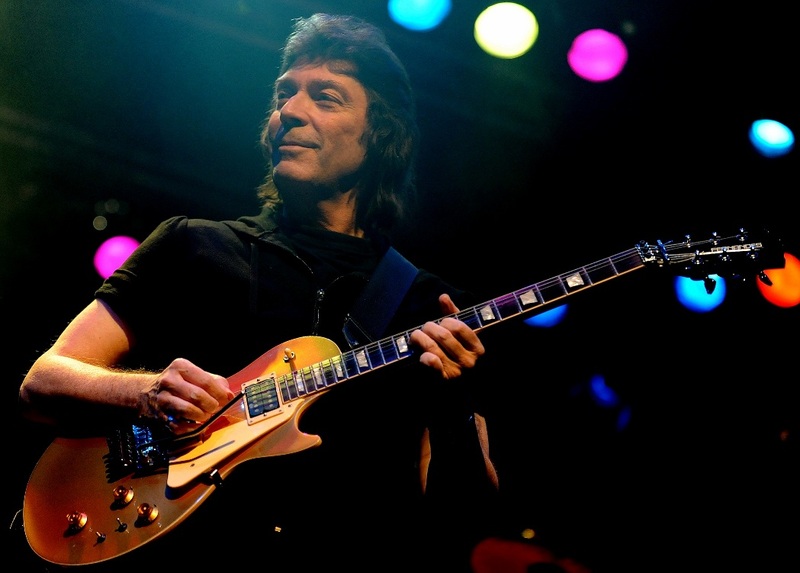 Where does Steve Hackett fit in to the rock legacy? Well first of all there is his crucial contribution as a member of Genesis, at a time when some, including me, believe that the band was at its creative peak. Then there is a truly prolific and herculean “solo” output, which, as you will read, takes in some incredibly talented players and at times becomes an ensemble in the best sense of the word. 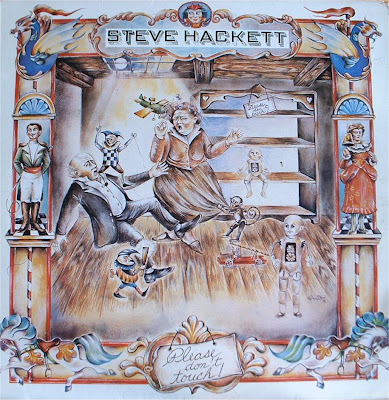 Next there is his love of touring and not resting on his laurels – in other words Hackett sees part of his brief to share his music and by association himself. And then there is his love of music and a perception that here is a craftsman and a virtuoso who is steeped in musical tradition of all kinds, but who has done something rather important, which is to extend the frontiers of what is possible on his chosen instrument, what is good and what is emotionally satisfying as a composition. Why Dulce Domum? Hackett’s home is on the road. As I write he is on yet another leg of a European tour. He’s a journeyman musician who finds himself at home in the natural situation of a live performance, and also because it is the title from a chapter of Wind in the Willows, which, though not mentioned, or indeed another title chapter – The Piper at the Gates of Dawn – seems to redolent with the poetry and place of the life of Steve Hackett. RL: The thing that made me smile when I was looking at some of your videos was your version of Tales of the Riverbank. Do you remember the original TV series? SH: The music was based on something by Giuliani, called Andante in C and it has that feeling of lullaby about it. I do remember the original series and funnily enough someone recently bought me a video of it because I wanted to see what it was like. I didn’t remember much other than that the narrator was Johnny Morris. It was the music that I found arresting. Some of the episode titles are really quite poetic too, such as, “The night the moon came down to bathe”. I thought it was all going to be very childish but actually it was very poetic and poignant; obviously very low key and not much happened but it seemed as if Johnny Morris was able to throw the story around something that stretches credibility when you look at it now from a technical point of view. Whenever I play that piece it goes down well and it seems to strike a chord and cast a spell. At the time when that was recorded – it’s almost got that same sound that the Segovia records had – where there’s not a lot of bottom and not a lot of top and that seems to create a kind of sweetness. Many years later I recorded an album called, “Tribute” (2008) which had six pieces of Bach. I was originally going to make it a tribute to Segovia, but we tried to give the recording that kind of sound. It’s a very gentle and restful sound and it harks back to the time when things were hardly hi-fi. It’s a kind of lo-fi heaven. Tales of the Riverbank is full of whimsy and it spoke to children and it still speaks me to an adult now, as do the Rupert stories. And I am obviously not alone because otherwise Paul McCartney wouldn’t have done Rupert and the Frog Song. Childhood re-lived through music can work in the same way, I suspect, in perhaps a taste or a smell can evoke something forgotten. Childhood can be re-kindled and for those of us who rely on music to be a portal into that forgotten world I would say that the combination of Johnny Morris and Giuliani and Black and White BBC does it admirably. SH: I was thinking of a composite of a number of Agatha Christie stories and of course the film comedy series. In a sense the track is all things British. It was a joke tune, it was meant to be throw-away and when I listen to it now I am slightly embarrassed, but the joke tracks are things I have been meaning to do. RL: What do you like about touring? SH: It’s the sense of all the various responsibilities in life, washing up, phoning the bank and the multi-tasking that we all do in life – it suddenly ceases the moment you get into a tour vehicle. You wander off – in more ways than one – you show up somewhere that’s entirely alien to you, you make it your magical home for the evening if you have done your job properly and you kind of transform the place into a miniature of your own brain and it’s a mind-meld with everyone who is listening. It’s a great purge. For all the feelings of inadequacy and all the feelings of guilt that you may have of all the things you haven’t done in your life, when you have done a gig and you have completely exhausted yourself it has gone remotely well it is a great feeling. Whatever my failings in life (and they are numerous) as a musician, if I have fulfilled the brief for that particular night; left people excited, played moderately well it’s a great feeling. RL: Talking about personal responsibilities, you got married this year! SH: That was beautiful. I married Jo who is very much my other half. We were married on June 4th and it was one of the last of the really sunny days. SH: British and European audiences are equally appreciative. The audiences we have had in England, on the current tour have been fabulous. I have had one or two special guests: John Wetton and my brother, John. The European audiences have been really quite amazing for at least the past 20 years, if not 30. I think in the early days when I was touring with Genesis audiences weren’t sure about us. They hadn’t made up their minds that they liked us. I know it seems strange but we were playing a lot of tracks that are considered to be classics but people would wander off to the bar. It took a long while for it to stick and it wasn’t instant. 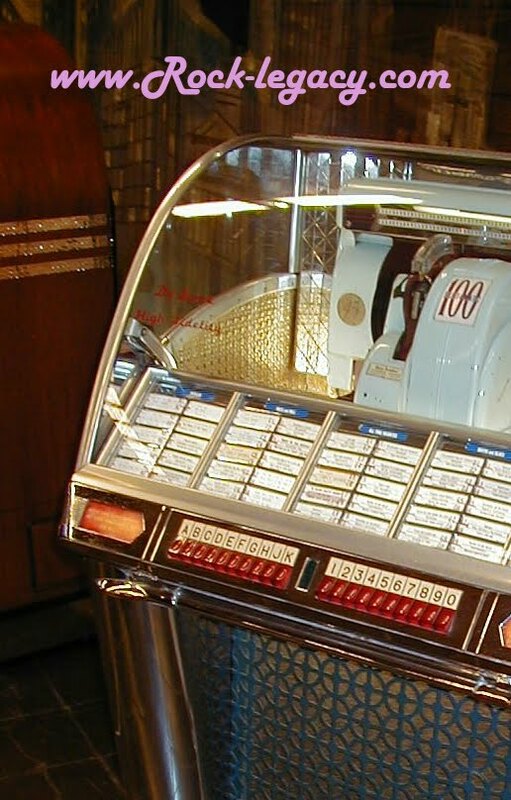 Music isn’t always instant – even with The Beatles, you forget that they were trying to get that together since 1956. Those six years or so of trying to hone it down and working very long hours played a part. Being tired I think helps. It might not be very good physically but once an act gets to the point when you are too tired to be nervous you start to get to the real meat of it. For instance, playing in America; I did gigs where we were doing two shows a night and by the second show you were too tired to be nervous. And you’d think “Oh, Sod it” and you’d often give some of the best performances. RL: Clearly what runs through your repertoire is the Classical Guitar. Did it start with Tales of the Riverbank? SH: I’ve got a feeling that it probably did but I wouldn’t have been aware that it was a nylon string or gut string guitar but when I heard Segovia in 1965 – Segovia Plays Bach – I was 15 and from the first note it was “welcome to the world of magic”. It sounded impossible that anyone could play with that degree of dexterity! Not just that, the music was out of this world and I realised that the guitar did not have to be a poor, second-cousin to the keyboard. What I hadn’t realised was that many of those recordings were performed in the 1920s and 30s. It was miraculous that one man could do that with a guitar in one go. I had been playing guitar about one year. If you had wanted to sound like that you would have immediately taken lessons for it but the guitar was always a symbol of freedom for me and I was tired of being graded at school for various things and I decided to go my own way. I never thought I would be good enough to play that stuff but hoped that one day I might be able to write things that were influenced by it. If I am at home I invariably play nylon guitar and not electric. In fact very often I will write electric lines on the nylon guitar if I want the melodies to be good. RL: You surround yourself with classically-trained musicians such as Amanda Lehman and John Hackett and you even did a Satie Album (2000). It’s not as if this is all on the periphery. SH: It is central and one of the most wonderful combinations of sounds is nylon guitar and orchestra. I have done a couple of albums; once with the Royal Philharmonic, doing A Midsummer Night’s Dream (1997) (or my version of it) and the other album is Metamorpheus (2005) with ten or eleven classical players tracked up and I called them The Underworld Orchestra. RL: History also informs your work. I notice you wrote a song whilst sitting by the Pyramids. SH: I did. I mentioned Rupert Bear earlier: I was in Cyprus for a holiday with Jo and there was a trip advertised where you could fly to Cairo for a day and do the Pyramids and do the rest and it sounds like a Rupert Bear Trip! In the excitement of that I had a note pad and was at the foot of the Sphinx thinking, “This is the most exotic place on Earth”. It’s something that seems to be literally made from the desert. I just couldn’t put the pen down. RL: So it’s fair to say that your music is informed by history and classical influences and that being the case it brings me on to something that is always going to be controversial and that is that if what you do, and I suppose for the sake of argument you called it symphonic prog, is it the natural successor to the kind of classical music of the 19th Century? RL: Well I wondered if we should talk about Selling England by the Pound but as I listened to Please Don’t Touch I thought that it was inventive and bursting with energy. SH: I was on a roll with the songs. I was still in Genesis when I was writing it and I wasn’t going to get most of that material done by the band. There were enough ideas (with Please Don’t Touch) that I felt I could step outside the band and build a career and that was going to be the cornerstone or the flagship. Ironically it did less well than its predecessor, Voyage of the Acolyte which I did in 1975. By the time I did Please Don’t Touch, suddenly I didn’t have the band to fall back on and it was an uncertain time indeed. Steven Wilson, of Porcupine Tree, whose music I’ve got a lot of time for because I happen to think he’s brilliant – he loves that album and he said to me that this is really my Sergeant Pepper. The heroes I grew up with – obviously The Beatles – obviously Revolver and Sergeant Pepper, where doodles became mountains and contained perfect arrangements. . If you read interviews you get the impression that The Beatles thought they had gone a bit too far with it. I didn’t know what “arrangement” meant. What it means, I think, is the clothes that surround the figures; the details. As far as Sergeant Pepper is concerned, it was received rapturously but maybe in a parallel world that might have been perceived as the end of something rather than the beginning of something. Luckily the world went with them. Rob Townshend, a brilliant wind player who I work with says the devil is in the detail. It’s about everything: it’s about the singer, about all the inflections and nuances and the spirit that moves it. Please Don’t Touch took quite a bit of time to make. I did six weeks or so in Los Angeles and then came to England and started working on it. I got sick and ended up in hospital. I didn’t want to be ill and I had colitis. With both that album and its successor, Spectral Mornings (1979) I think I just pushed myself too hard. These days I don’t work all night. In those days I was doing the kind of thing you do, which was still working and wondering why you can’t sleep. RL: It’s full of intricate detail, together with the inspired choice of Richie Havens for some vocals. SH: I wasn’t singing myself, other than the jokey track, Carry On, Up the Vicarage. I felt I had great singers such as Randy Crawford, who had not had anything released in this country. I wouldn’t say I felt she was a star, but that she was unique and of course she became a star. Steve Walsh of Kansas has a very bell-like, extraordinary range. When I worked with him on Racing in A he wasn’t comfortable with the words so much of it he ended up re-writing. I went along with that because I needed him to be comfortable. I was starting to learn to be flexible. There was a lot of detail and we used a computer to mix it, except that the console that existed at that time (a Rupert Neve desk with the Necam System of moving faders) you could work on a mix for hours and then suddenly it would just dump everything. We worked with that at De Lane Lea. The Voice of Necam was titled because of that. It was a very good sounding desk, a very sweet-sounding desk and it meant that although it was an analogue album it was noise-free and we recorded it at 30 ips for the first time. But of course this is very much Oldspeak, dealing with the equivalent of box brownie cameras. RL: Is there a particular track on Please Don’t Touch that you still play live? SH: I’m still fond of the title track. We did quite a bit of it live but I think the one that stood the test of time is Please Don’t Touch. Much of the second side works as a kind of musical continuum - atmospheric tracks like Land of a Thousand Autumns. RL: And then you’ve got Kim, which brings us back to Satie. SH: Yes, the influence of Satie – the original title was going to be Quatre Gymnopédie! I was going to use an orchestrator called Mike Gibbs, who had done wonderful stuff on a Mahavishnu album with George Martin. But somewhere along the line that idea was dropped because I think I had run out of dosh. 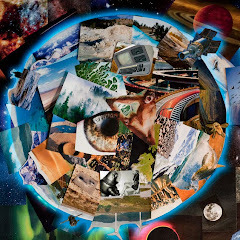 RL: There is an element of play and child-like exploration in the album that appeals to me. SH: I think you have come to the nub of it. Being free enough to do that. When you take fear aside – children don’t have jobs. They don’t know they are not supposed to do certain things. Children are dreaming with open eyes. RL: What’s the worst commercial decision you ever made? SH: To leave Genesis. If you view it purely as a commercial decision you would say it was a disaster. But if you view it from the point of view of the music and the way it works with me, in other words that music is its own currency and has its own reward – it is the very oxygen that sustains me – I don’t owe allegiance to any band or any style I felt I had no choice. It was the issue of autonomy. In a sense Genesis tried to control me and although I loved the music it was important for me to make sure my songs were being performed. RL: You must have self-belief? SH: Yeah, somewhere between megalomania and total lack of self-confidence and I swing between the two. I am either rubbish or I am wonderful on any given day. RL: What was the worst gig you ever did? SH: The worst gig was the first one I did with Genesis. The fuzz box that I had being using in rehearsal that belonged to Tony, was replaced with another one and it fed back through the course of the entire gig. I couldn’t remember any of the notes. I died a thousand deaths that night, but a professional was born out of the ashes. RL: What do you always take with you on tour that is essential, apart from the obvious things? SH: I take my wife Jo with me. She has become essential – we don’t spend any time apart and I know that she will take care of all the people I can’t take care of. She cares desperately that everyone is happy, both backstage and out front and in the foyer. Provided she has time she will always stop and take down names and numbers or direct them to the website. RL: A young musician comes up to you and they have ten or fifteen thousand pounds to spend on doing a proper album. They are good, they have done their stuff but they are going into a professional studio for the first time. What is your advice to them? SH: I think the advice is the same we were talking about earlier, about a sense of play. It’s very important to enjoy what you do. Music can be a very exacting business but the thing that is conceived in joy, if you can get that idea across it is always going to communicate to people, because what is most personal is what’s most universal. So allow yourself dream time. Allow the music to talk back to you and indulge the things that others tell you you shouldn’t. Listen to yourself. RL: Low points in your career? SH: You can either look at them as low points or as obstacles to be overcome. I left school at sixteen and it was five years of adverts in the back of Melody Maker before I got a call from Peter Gabriel, who I had never heard of. There was five years of menial jobs before that, but if you keep playing the tables, in other words, you don’t give up and it’s only a matter of time before you will get lucky. RL: You seem remarkably level headed. You have seen friends go by the way for the usual reasons, how come you have kept it together for so long? SH: I have been very lucky. My parents are very receptive and supportive. I have been able to stay healthy. My father was musical and he bought me my first harmonica and guitar. I was very determined and driven and that might be the Jewish background. There is showbiz in the blood and there is music there – everything but the ukulele.